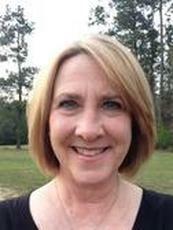 Jeanne Carlson is the Director of CardioPulmonary Rehabilitation and Outpatient Nutrition at the LiveWell Center at Forrest General Hospital in Hattiesburg, Mississippi. She has her BS degree in nursing and her master’s degree in exercise physiology, both from the University of Southern Mississippi. Her nursing background is in orthopaedics and cardiac/telemetry for 8 years at Forrest General Hospital, and then with Cardiopulmonary Rehab for 11 years before becoming Director in 2005 until the present. At LiveWell she works to promote secondary prevention, especially cardiovascular risk factors. She is frequently asked to speak at community and hospital events with regard to those risk factors and management of them. She is a member of American Association of Cardiovascular and Pulmonary Rehabilitation (AACVPR), She is also serving as a board member, presently the Member at Large, for the regional organization Southern Association of Cardiovascular and Pulmonary Rehabilitation (SACPR). She is on the advisory board for Spirit of Women – a national organization that focuses on promoting women’s health.